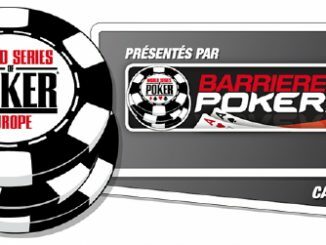 Just 25 players will return to the felt tomorrow for day four and a shot at the World Series of Poker Europe Main Event final table at the Hôtel Majestic Barrière in Cannes, France. Four Aussies started day three in contention, with Joel Dodds and Michael Pedley eliminated and Leo Boxell cashing in 54th for €21,475. Tony G will be back but he faces an uphill battle, lying 22nd of 25 in the chip count on just 226,000. It’s a UK one-two at the head of the count with Max Silver narrowing leading Chris Moorman, who placed seventh in the Aussie Millions Main Event earlier this year. The lion’s share of Moorman’s chip were acquired in sensational fashion on the bubble when he and day three chip leader Constant Rijkenberg built a massive pot on a board of J-4-4-5-9. Moorman shoved for his remaining 230,000, Rijkenberg called but was soon cursing the decision when Moorman showed pocket queens. 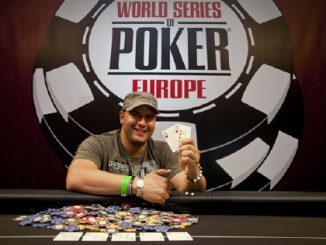 Other notables still eyeing the WSOP Europe Main Event bracelet include Shawn Buchanan, Patrik Antonius, Jake Cody, John Duthie and Erik Seidel.